Home / gender / Lego / Lego Movie 2 / toys / Lego Movie 2 - Paying Off The Long Game? "Why do girls need their own Legos?" A few years back, Lego came out with the Lego Friends line, distinguished by a more pastel color palette and replacing the traditional "minifigures" with the taller "minidolls" that could still interact with relatively normal sized Lego constructs. There had been "Lego for Girls" before, such as the Belleville line, but those rarely got a lot of attention outside of Europe. Lego Friends was different, because it represented an admission on Lego's part that American girls (or their parents) just didn't buy enough Lego sets. There was predictable backlash from adult fans, with Maritsa Patrinos's webcomic (a panel from which tops this post) capturing most of the salient points. Girls don't need special figures, just put a new hairstyle piece on a Minifigure (the technical name for the little Lego people). And on top of all that, people started showing around an ad campaign from decades earlier that proudly proclaimed that girls liked Lego bricks just fine. Rectangles shouldn't be gendered, right? What it is, is not what it was? The problem with that position is that while people might say one thing with their words, they say something else with their dollars. For every adult toy fan who I see decrying gendering toys that should be for everyone, I hear a dozen parents telling their kids to put down a toy because it's for whatever gender the kid isn't. The increasing presence of licensed properties in the Lego aisle only reinforced the problem. Maybe Lego is for all kids, but Lego Batman Is For Boys. Lego Spider-Man Is For Boys. Mega Blox Teenage Mutant Ninja Turtles Are For Boys. Best Lock Terminator sets Are For...no one, really, they were pretty bad. The Pink Aisle has long been a part of the toy shopping experience, and Lego sets did not end up in the Pink Aisle, so girls were discouraged from getting them, parents shopping for girls didn't see anything not in the Pink Aisle. So sales suffered. And Lego, apparently, gave up. They capitulated to the loud "Girls Should Have Girl Toys" message shouted by our consumer dollars, and created the Minidoll. Look at Olivia. Pink and purple, lots of hearts, a skirt and obvious girl-curves as opposed to the flat-fronted geometric solid shared by all Minifigures. While somewhat compatible with other Lego stuff, with feet that stand on Lego studs and hands capable of holding any Lego minifigure accessory, there are differences too. The heads are bigger, with almost anime-type eyes, and the hair can't be shared with a Minifigure. She can't wear Minifigure hats or helmets, or use any of their add-on accessories like capes or backpacks or utility belts. The skinny necks prevent them from using Minifigure heads. The legs move as a chunk rather than individually, giving them less articulation than a Minifigure. They just stand there looking pretty, and maybe hold stuff. At first glance, it's a total cave to the demands of the Pink Aisle. The first wave of sets came out, and it was clear that they weren't going purely for the Girly Interests. Sure, some of the Friends want to be fashion designers or veterinarians or singers. But there's also a sporto, a car nut...and Olivia? She builds robots. Adorable robots, sure, but she's clearly going to grow up to conquer Heart Lake with her army of adorable robots. Her first "special interest" set was a STEM workshop, with astronomy, chemistry, robotics, and a machine shop represented. Sure, the tools were purple and pink and pale teal, but she had the gear. The Minidolls weren't limited to Friends. They also got used for the Disney Princesses, which admittedly felt like a step back into the Pink Aisle, but then they released Elves and DC Superhero Girls. to the Sun as she feels like. Yeah, there's a token dude, he's the plant-element elf. And you want dragons? 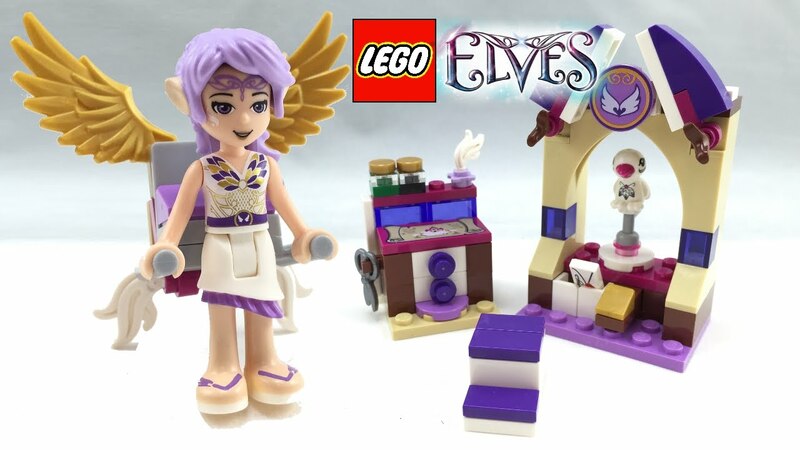 Good LORD, Lego Elves has dragons coming out the wazoo. Sure, they're friendly and largely pastel-colored, but they're just as big and complex as the dragons in the Ninjago line. 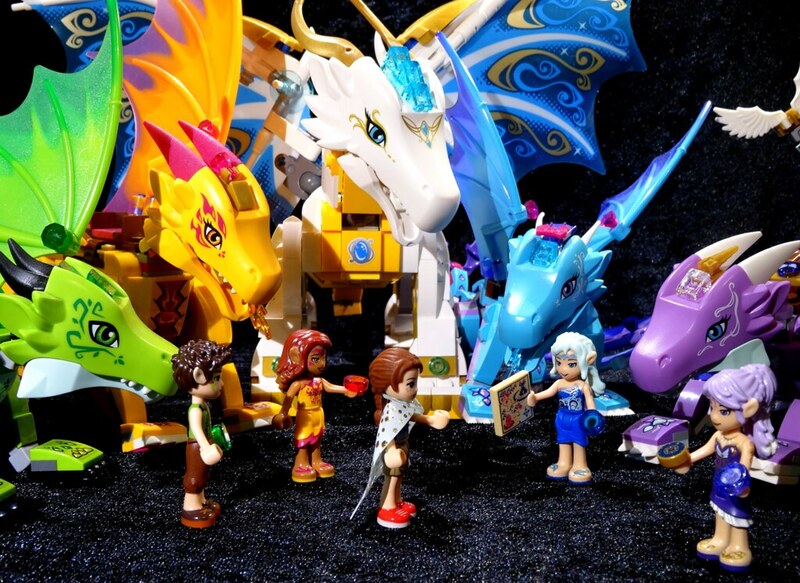 If you've got a kid who wants buildable dragons, you don't have to angst about buying the Wrong Gender, Lego has you covered. Oh, and while all this was going on with the Minidoll lines, Lego was hardly passive on the "traditional" side. Women were getting into the Minifigure lines more as well. The newer space sets (under the Lego City imprint) have female astronauts and ground controllers. There's been two "Women In Science" releases that use Minifigures, not Minidolls. Gender parity is still far off, but there's a lot more women available in Minifigure form if you want some. The long-running and successful blind-bag Minifigure lines run anywhere from a quarter to nearly half female. So, yes, Lego has played into the gender segregation of the toy section. But they've also been low-key playing against it at the same time. Too low-key for some, but some progress is better than no progress. And that brings me to the trailer for Lego Movie 2, released June 4, 2018. At the end of the first Lego Movie, the protagonist kid's little sister was also allowed to play with the sets, leading to an invasion of baby-gabbling aliens. Lego Movie 2 appears to be set several years later, and while the trailer doesn't really go into the "real world" scenes it's implied that the original little boy has gotten older and into more dark and gritty builds, and his sister has just come back to the table after years of having lost interest. the credit? You really need to come with me, Wyldsyde." An intergalactic planetary (planetary intergalactic) invader arrives to take the Master Builders to the Sis-Star (Si-Star? Not sure, but you get the point and the pun). It's clearly a Minidoll. Glittery and pastel, but definitely space-themed. Olivia grew up and built spaceships, apparently. The storyline is hard to be sure about from just the trailer, but that's not really the important point right now. The Lego Movie 2 merchandise will mix together Minifigures and Minidolls. It will include at least one spaceship with one or more Minidolls. It will be a crossover between the Boys' Lego and the Girls' Lego formats. What if this was Lego's long game the whole time? Instead of butting their heads against the tyranny of the Pink Aisle and suffering ever-shrinking market share among girls age 5-12, they gave in. In the sort term, they provided the gendered building sets that the market wanted. Then they went to work, slowly bringing the two sides together. Not smashing gender stereotypes, but gently bending them, chipping away little by little. The kids loved having building toys, Friends and other Minidoll lines have been quite successful, carving out respectable shelf space and spawning imitators from the other building brick companies (Mega Brands has American Girl and Monster High licensed figures that are variations on the Minidoll theme, and Walmart even got its own My Life series in on it). The short term goal has certainly been met. And once people had accepted that Minidolls were here to stay? CROSSOVER TIME! Boys and girls both ask for Lego Movie 2 sets for birthdays and holidays, punching holes in the walls between the aisles (when they exist...Target does stock Minidoll stuff in the same aisle as Minifigure stuff, but Walmart sometimes has them widely separated). "That's for girls/boys" becomes less of an excuse when a kid wants a set from the "wrong" aisle. Lego won't singlehandedly end generations of insisting that boys and girls can't like the same toys, and this might not have been their strategic plan all along...but wouldn't it be cool if Lego was playing the long game to subvert and eventually oppose the needless gendering of toys? Dvandom, aka Dave Van Domelen, is an Assistant Professor of Physical Science at Amarillo College, maintainer of one of the two longest-running Transformers fansites in existence (neither he nor Ben Yee is entirely sure who was first), long time online reviewer of comics, currently has six or seven robots in Olivia's growing army (and four Olivias), is an occasional science advisor in fiction, and part of the development team for the upcoming City of Titans MMO.